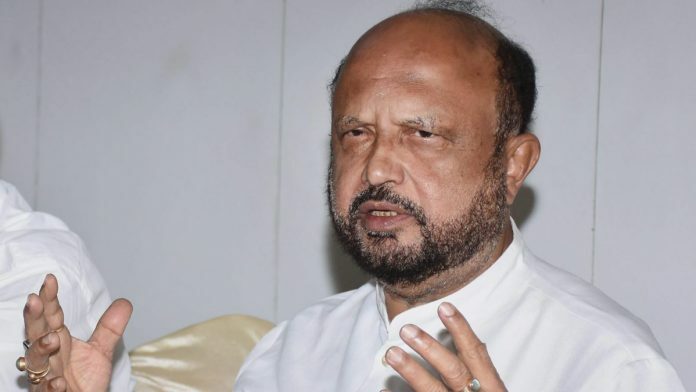 Former AGP chief Prafulla Mahanta says he's against alliance move, believes AGP shouldn't have gone back to BJP after snapping ties over Citizenship (Amendment) Bill. New Delhi: Cracks have begun to appear in the Asom Gana Parishad (AGP) over its decision to reunite with the Bharatiya Janata Party (BJP), just two months after the parties had snapped ties over the Citizenship (Amendment) Bill. Former AGP president and two-time Assam chief minister Prafulla Kumar Mahanta told ThePrint that he had not been kept in the loop about the decision and was opposed to it. “Why this decision was taken can only be answered by party president Atul Bora and other leaders such as Keshab Mahanta,” Mahanta told ThePrint. Late Tuesday, the BJP and AGP declared they had decided to forge an alliance once again following a long meeting between senior BJP leader in-charge of the northeast Ram Madhav and AGP president Bora. The regional party had walked out of the alliance with BJP in early January following the latter’s push for the controversial Citizenship (Amendment) Bill. However, with the BJP government at the centre unable to ensure its passage, both sides had initiated talks for a possible patch up last month. Also read: BJP-AGP allies again: Poll opportunism or was Citizenship Bill clash just political optics? At 33, Mahanta was the state’s youngest chief minister in 1985 when the then newly-formed AGP won the assembly election on the back of the Assam Accord agitation. His objection to the BJP-AGP coming together again stems from his stand against illegal immigrants in the state, at the heart of the accord. Mahanta said he has always maintained that the Assam Accord should be followed and no deviation will be acceptable. He was among the first in the AGP to say the party will abandon the NDA if there is a push for the bill. According to an AGP leader who did not wish to be identified, “even the grassroots worker may not be convinced about the tie-up”. AGP president Bora could not be reached despite repeated attempts. This report will be updated when he responds. According to the Citizenship (Amendment) Bill, illegal migrants who are Hindus, Sikhs, Buddhists, Jains, Parsis and Christians from Afghanistan, Bangladesh and Pakistan will be eligible for citizenship in India. The BJP’s push for the bill, being seen as part of its Hindutva politics, came even as Assam is in the process of updating the National Register of Citizens (NRC) to identify illegal immigrants from Bangladesh. Thus, this meant if the bill was passed, among those identified as non-genuine citizens, the Hindu immigrants would be granted citizenship, while Muslims would not. This led to massive protests in Assam, with the AGP as well as other sections claiming this violated the Assam Accord of 1985. Illegal immigration has been a politically and socially delicate issue in the state, with the ethnic Assamese opposed to all ‘outsiders’. The AGP has also maintained that all illegal immigrants from Bangladesh — irrespective of religion — be identified and deported. It was at the end of the six-year-long agitation in Assam against illegal immigrants, which ended in 1985 with the signing of the accord, that AGP was formed by leaders of the movement.